STM32 bluepill arduino IDE - .[ZooBaB]. 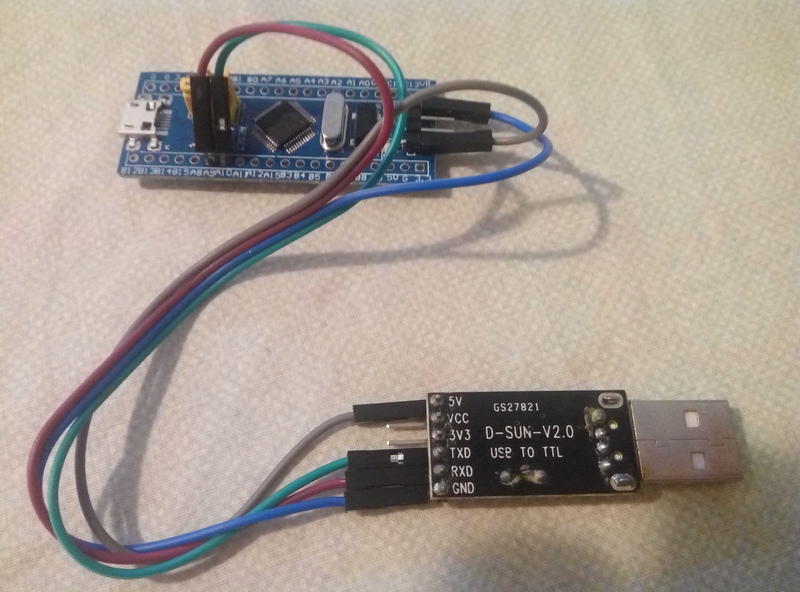 This page explains how to blink a LED on the STM32 Bluepill with the Arduino IDE. Wrote and verified address 0x08001ba4 (100.00%) Done. After a second, you can see the USB PID changing from "1eaf:0003" (bootloader mode) to "1eaf:0004" (working mode). This one second delay is not enough to push the RUN button of the Arduino IDE, so we decided to look how to increase it. With 10s delay, it becomes much more usable!